At just 8,866 sq. miles (22,963 sq. km) Belize is the second smallest country in Central America behind El Salvador. In terms of population, Belize is the smallest country in Central America with just 340,800 people as of 2014. Bordered by Mexico to the north, Guatemala to the east and south, and the Caribbean Sea to the east Belize is a melting pot of Central American Culture. An extremely friendly and safe country, tourism is the biggest industry in Belize and is growing rapidly. Belize was first settled by the Mayans as early at 1500 BC. They remained there until around 900-1200 AD when the Mayan Empire began to weaken. One of the biggest Mayan cities, Caracol, is found in Belize and was thought to be home to 140,000 inhabitants during its prime. The first European contact came with the arrival of one Christopher Columbus in 1502. It wasn’t settled at that time due to strong resistance from the remaining Mayas combined with a lack of interest in the natural resources (aka – gold) by the Spanish. The first settlement in Belize was 1638 by shipwrecked English sailors and for the next 150 years piracy, logging, and constant conflict with the native population ensued. Belize officially became part of English Honduras in 1840 after the English laid claim to the land by defeating the Spanish in the Battle of St. Goerge’s Caye in 1798. 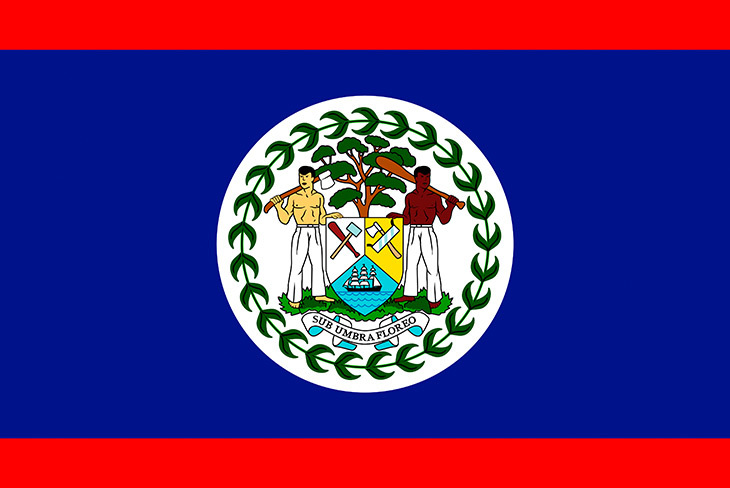 In 1862 Belize became a crown colony until full self-government was established in 1964. In 1973 the country’s name was officially changed to Belize, and on September 21, 1981 Belize gained full independence and autonomy. Despite its size Belize has an incredibly diverse culture. According to the 2000 census the official stats are: mestizo – 48.7%, Creole – 24.9%, Maya – 10.6%, Garifuna – 3.4%, other – 9.7%. Mestizos are a mix of Spanish and Mayan decent and provide the largest influence on local culture. The Mayan roots date back to 1500 BC and still remain prevalent in the northern and western parts of the country. Creole are mainly slave descendants originating from West & Central Africa. The Garifuna are perhaps the most unique of all they are also from African descent but have no documented history of being slaves. The theories range from them being survivors of two documented ship wrecks while another is they are the survivors of a successful slave ship mutiny. Put all of that together and you have modern day Belize – a mix of Mayan culture, Afro-Caribbean culture, and international influence. Belizeans are as friendly as they are diverse, and although many languages are spoken English is the official language. With a territory of just 8,866 sq. miles (22,963 sq. km) Belize is the second smallest country in Central American and about the size of the state of Massachusetts. The official coordinates of Belize are 17 degrees north and 88 degrees west. Mexico borders it to the north while Guatemala is the neighbor to the south and west. To the east sits the crystal clear waters of the Caribbean Sea and hundreds of phenomenally beautiful islets, or cayes (keys). Last but not least, Belize is home to the world’s second longest barrier reef and the longest in the western hemisphere. Belize’s natural beauty is hard to rival as it features rain forest, mountains, beautiful white sand beaches, hundreds of islands, and one of the world’s most impressive and important coral reefs. Southern and western Belize feature hills that lead to the Mayan Mountains while much of the central and eastern portion of the country consists of lowland swamps and mangroves. Like the rest of Central America, Belize offers beautiful tropical weather 12 months a year. The average temperature is 84 degrees and rarely if ever dips below 60 degrees. The humidity remains pretty steady at 85 percent most of the year so what changes in the weather season isn’t the temperature as much as it is the rainfall. Being a Caribbean country Belize will offer the possibility of warm weather and rain every day of the year. The dry season in Belize runs from Feb-May and the rainfall seen in these months is typically very quick, light showers. Between June to January the country sees more rain, with June and July seeing frequent heavy showers. Although Belize doesn’t have a history of receiving direct hits from hurricanes, it will occasionally receive some strong storms with heavy rain and high winds.